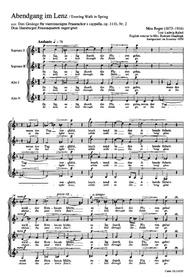 Composed by Max Reger (1873-1916). Edited by Jurgen Schaarwachter. Choral collections for women's choir. German title: Drei Gesange Fur 4Stg Frauenchor Op.111B. 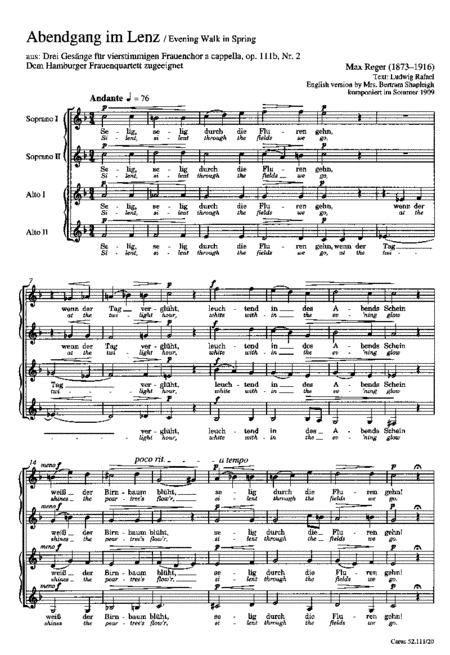 Lieder for choir, Secular choral music. Choir part ; full score. 8 pages. Carus Verlag #CV 52.111/20. Published by Carus Verlag (CA.5211120).